Everyone knows Ja Rule is a wonderful storyteller, as evidenced by classics like “Put It On Me” and “Always on Time,” a song about always being on time. Well, Ja Rule is also for the kids. Or is it Ja Yule? When you tuck your anxious little ones in tonight, the night before Christmas, they may ask in their tiny innocent voices, “Can you read me a bedtime story?” Enter Ja Rule. 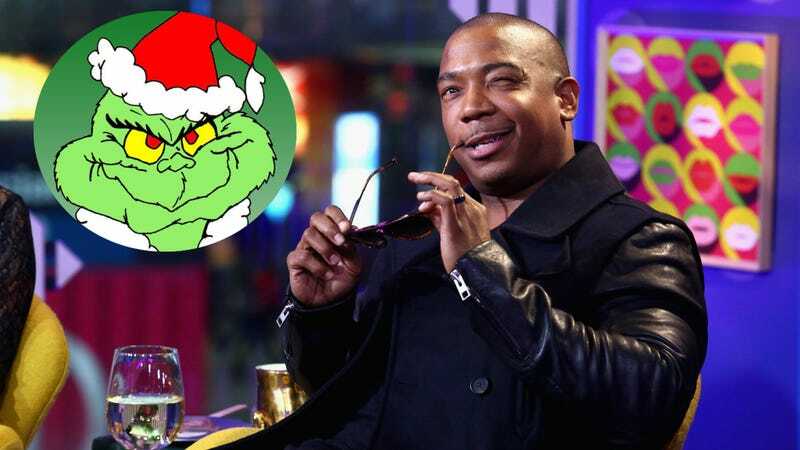 The classic Christmas tale How the Grinch Stole Christmas was always missing something and now we know what it was: Ja Rule. “Every Who down in Whoville liked Christmas a lot...” Ja begins, his gruff voice ever so eerie yet comforting. He’s nailed the foreboding narration. He’s just as scary and intense as he is mushy. This? This is what Christmas is all about.